Would you drink gross coffee? Probably not. Now, despite having a name that sounds grossly familiar to a distasteful experience, the GROSCHE Madrid French Press Coffee Maker is the top of it’s class. 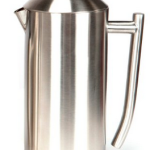 There are a lot of French press coffee makers on the market and some of which have been around for decades. Although Grosche is a young company, this premium quality coffee maker is making coffee lovers go crazy for their caffeine. The Grosche Madrid French press is truly quite impressive. It features a professionally designed chrome housing surrounding the borosilicate glass. The glass itself allows you to pour piping hot coffee without any worry over the glass breaking. This heat resilient glass is design in Germany by an old glass manufacturing company called Schott-Duran. They have been making borosilicate glass since the 1900s. Did you know, this company is now the top making glass company in the world? In addition, the overall design is both modern and sleek. The chrome housing provides a premium finish and grips the glass so that it never falls out (this does happen with other French press coffee makers). 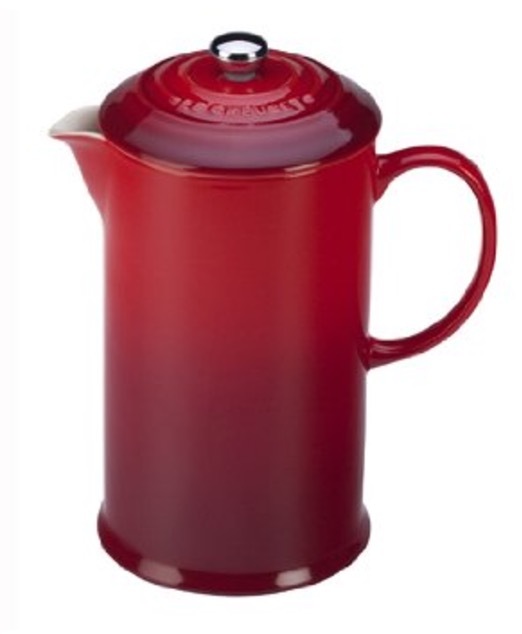 When you compare the Grosche Madrid to other French press coffee makers it makes them look like basic chemistry beakers with a toilet plunger. The impressive design of this French press doesn’t stop at its external details. The Grosche Madrid is built with a dual filter system using a traditional stainless steel plunger and another at the lid. This well thought design allows the French press to retain the heat keeping it hotter longer. And, if you ever want to switch it up and make some tea, that’s your choice. We mentioned that Grosche was a new company and understandably, some people might be skeptical. However, if you’re not impressed by the impressions this premium coffee makers offers, maybe this will. Grosche available to address any questions or comments you may have through their website. And, while they’re dedicated to providing you with a French press you love, they are also committed to making the world a better place. Every sale they make goes toward providing safe drinking water for people in need through their Safe Water Project. Grosche is committed to quality, not only for you, but also for local communities. They are a Certified B Corporation which is a distinguished certification for businesses doing good in the world. As mentioned, Grosche is dedicated toward making the world better and supplying those in need with clean and safe drinking water. From every purchase of their Madrid French press coffee maker, Grosche provides 50+ days of safe drinking water to communities in need. Maybe you want a personal sized French press to enjoy for yourself in the morning or the ability to brew a big pot for some friends, Grosche has your size. For those who have guests with different desires for their drinks after dinner, the Grosche Madrid has a 51 oz. 4-in-1 French press. 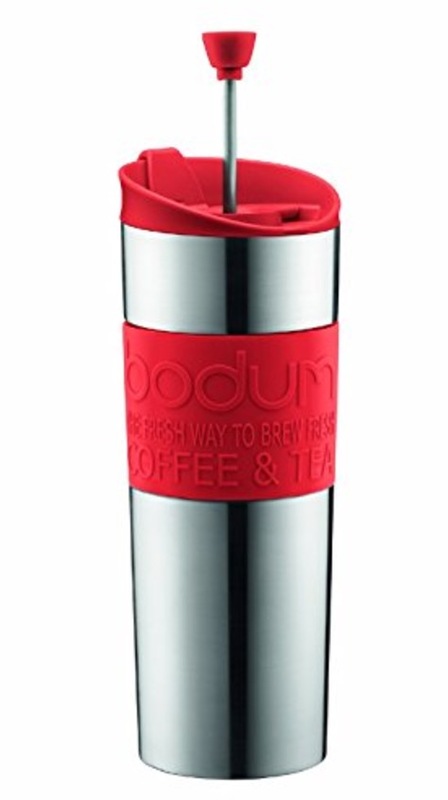 This is the ideal maker for coffee, both hot and cold, iced tea and loose leaf tea (comes with a specially made tea infuser). There’s nothing more practical than a French press and the Grosche Madrid won’t let you down. The method for making a coffee with this maker starts with a coarsely ground bean. Add the hot water, let it steep, and push the plunger to enjoy your drink. When you are finished, the entire system is easy to take apart and clean in seconds. Which is convenient for you and let’s you quickly continue your day. 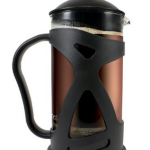 This Canadian made French press has a 4.5 star rating on amazon and others who have it certainly love it. True to their word, Grosche aims to satisfy with their Madrid French press coffee (and tea) maker. The stylish design and quality parts ensure you a piece of kitchenware you’ll be proud to own. And, let’s not forget that all proceeds from their sales make a contribution to communities in need. At each sip of delicious coffee from your Grosche Madrid coffee maker, you can smile knowing parts of the world are enjoying safer water to drink — thanks you to! Plungers separately and do you have any suggestions.